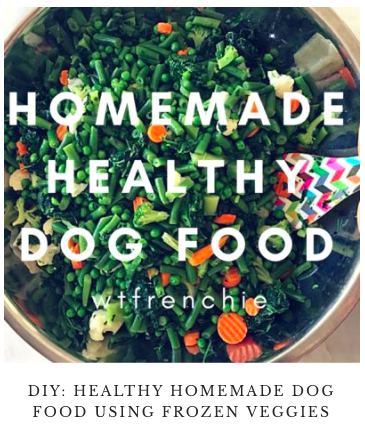 Interesting in making homemade dog food for your pup? 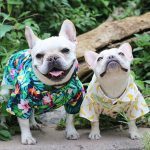 French bulldogs, especially, can have sensitive stomachs. We all know this. 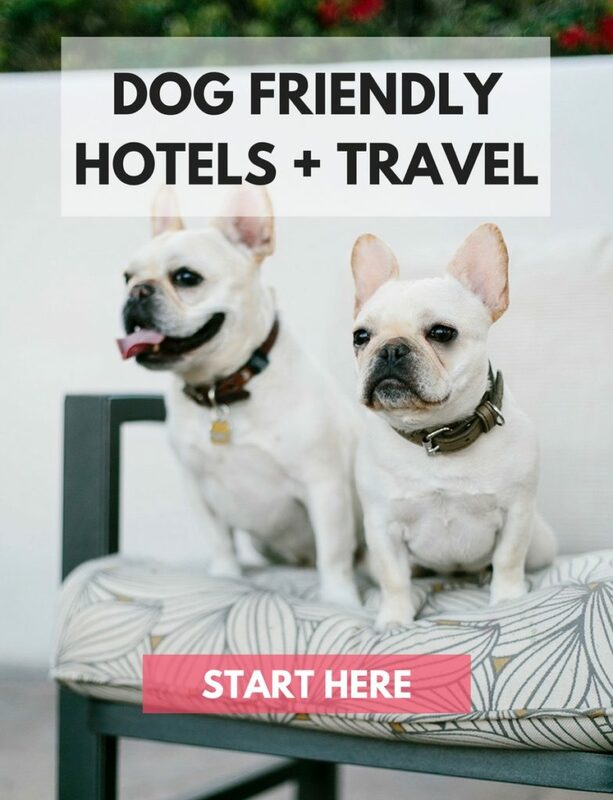 My frenchies Weston and Fira will be fine with their food for weeks and then out of nowhere they might have an off-day of skipping a meal or throwing up some spittle. 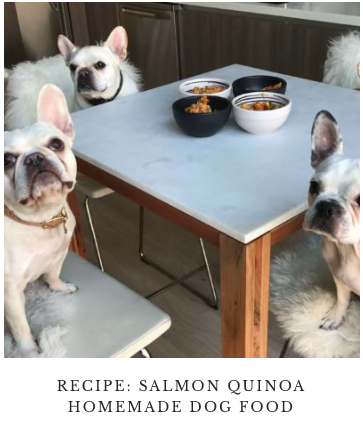 The best thing we ever did for them was switching to a cooked food diet (Weston started when he was about 2 and Fira has ONLY eaten cooked foods since she was a baby). Traditional kibble is mostly filled with filler (corn, grain, who knows what else) to get that small, compact, round shape. They’re also hard to digest, tough on the teeth and don’t contain enough nutrients for a healthy dog. 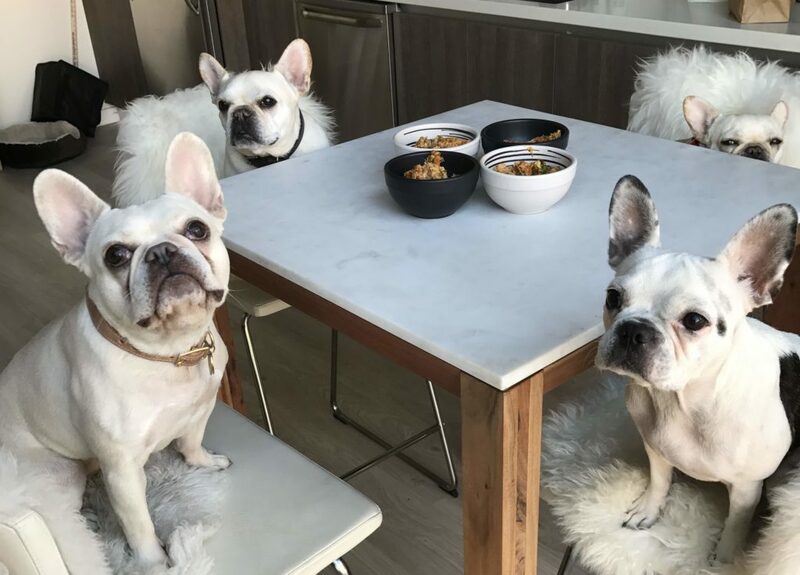 With cooked foods, not only do the pups gobble it up and lick their bowls clean, they hardly ever fart now (and they’re FRENCHIES! A miracle, is it not? ), their coat is soft and bright and no skin itchies. I cook big batches of food for them and keep them in ziplog baggies in the freezer so they’re ready to go whenever I need them. 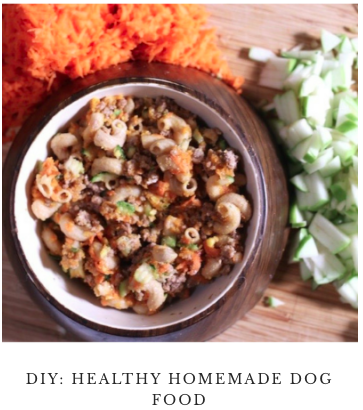 It’s super easy to make and honestly, I get a lot of joy making it because I love cooking and most importantly, it’s for the dogs’ health + wellness. Disclaimer: use your own judgement and of course, speak to your veterinarian if you have questions/concerns. Hi! 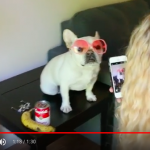 Have you seen the Netflix documentary Petfooled? Very eye-opening and helpful! Pet food industry is not as regulated so even if dog food contains 10% chicken by product (bones, gizzards, leftovers etc) they are legally allowed to call it natural chicken. Most vets are trained by these same industries/companies. Def recommend it! Been using the frozen veggies recipe for the past 5 months using turmeric. My Vet also tried to influence me to go dry food when i told her what i was feeding him. 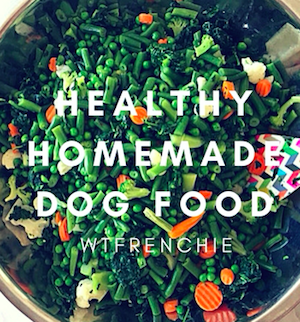 My Frenchie is looking as healthy as ever so ill be sticking to these recipes. My frenchie is now 16 months old. 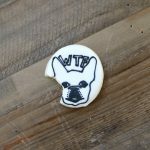 At what age can your frenchie start on this?